Every small service business owner knows the type: Customers who are consistently late paying the bill. They misplace your invoice or “never got it,” or they prefer that you drop by to pick up a check to save them the hassle of mailing you an envelope. Don’t they know you have your own bills to pay with that money? Could a mobile invoicing app change your life? Invoice2go says theirs might at least improve your business. Customers of the invoicing and payment app, who send more than a million invoices every month totaling more than $1 billion, have pushed Invoice2go to number 2 among the top-grossing business apps on iTunes. 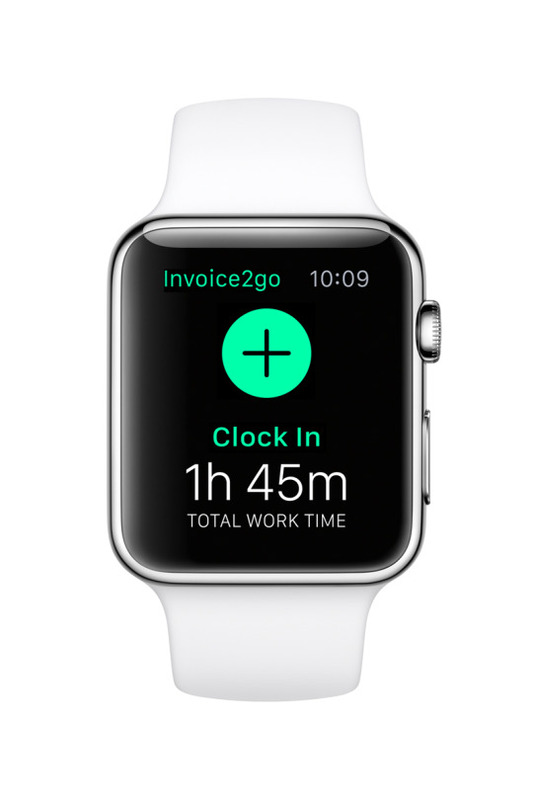 It’s one of the first business apps to be available on the Apple Watch, and is also available for use on a PC. Users include home trade services such as plumbers, electricians, landscapers, painters, and pet caretakers, as well solopreneurs who’ve turned their hobbies into professions, Waldorf says. He points to users such as a New York City makeup artist with Fashion Week clients—“paper work and the business stuff is not why she went into that line of work; she loves the customization and professional look” of the app—and a Georgia housepainter—“he issues progress invoices when his jobs are 40 percent done so that he can pay his workers”—as the sort of microbusinesses that benefit from Invoice2go. It’s a group that doesn’t “generally have the patience or inclination to learn a software like Quickbooks,” he says, adding that small business owners who see how Invoice2go works “will seldom make the case” that their current method of time tracking and invoicing is better. To be sure, despite predominantly 5-star app store reviews, many make the case in 1-star reviews that Invoice2go was great when it was free, but too expensive now for their budgets. But with pricing ranging from $49 a year for one user to send as many as 50 invoices up to $149 a year for unlimited invoices and 5 users, the price seems fair compared to the cost of paper, postage, and envelopes to mail invoices. A 3-invoice trial is free. “With a very small amount of effort” to set up an Invoice2go account, Waldorf says business owners cut hours per week off of invoicing tasks, keep better track of expenses, and get paid faster. “For small businesses, cashflow is king,” he says. “When you need it, you’re always thinking, ‘What can I do to get paid?’” The app, Waldorf says, lets businesses invoice the same day they perform work and see at a glance who owes them money, how much they’ve invoiced any given client, and how much quarterly sales tax they owe. OF course, the business owner must give up 3 percent of each payment in credit card fees, but Waldorf says taking that hit can be worth it to get paid faster. “It’s a cheaper way to get cash quickly than taking a high-interest credit card loan to grow your business,” he points out. Whether small service business owners use Invoice2go or not, Waldorf hopes more of them see the wisdom in adopting technical solutions to making their businesses run smoother. “We still see a lot of small business owners who actually drive around to pick up checks,” he says.